"Holly" is a 4 yr old doberman who came to us after having had three surgeries for a torn ACL (Anterior Cruciate Ligament) in her left rear leg, and had a partial ACL tear in her right rear leg, as well. She would struggle to sit, and with getting up and getting down. Her rear limbs were both quite stiff, and her limp was noticeable. 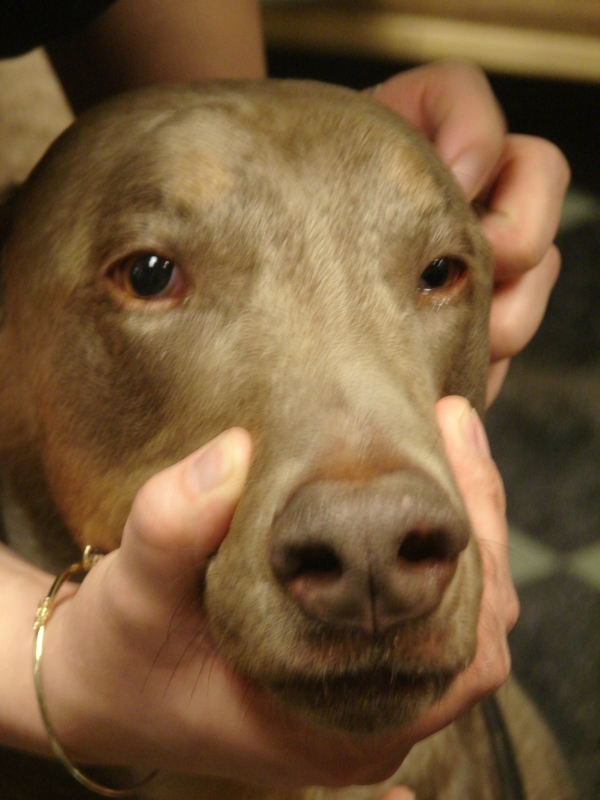 After her Stem Cell procedure, she had improved greatly, she is able to run and play with her housemate again, she is getting up and down better, and the owners report her as much more alert and engaged. In addition, there was a remarkable additional benefit following Holly?s treatment. Before Stem Cell, Holly was on two medications for urinary incontinence. If she missed even a single dose of her medications, she would involuntarily leak urine. It has now been over a year since the procedure, and there has been NO leaking of urine, despite the fact that Holly is no longer on ANY medications for incontinence.Click here to see Holly's before and after videos. 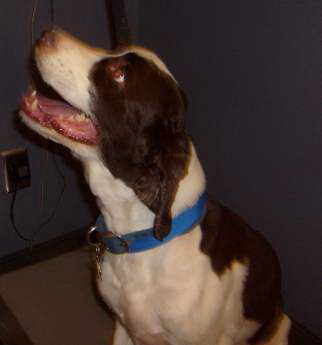 <?xml:namespace prefix = o ns = "urn:schemas-microsoft-com:office:office"> "Bentley" is a 9 yr old springer spaniel who came to us suffering from elbow dysplasia and subsequent osteoarthritis in both elbows. His owners noted he did not want to go for long walks anymore, and when he did, he walked with obvious discomfort. After going through a variety of treatments for arthritis, and not getting the results they had hoped for, they elected to pursue Stem Cell therapy. Since his treatment July 2011 he has been doing great! At his last exam, no limping was evident, and the owners noted that he was much more alert, and WANTING to go for his walks. We look forward to his continued progess. "Thunder" is an 11yr old German shepherd who came to us a year ago for Stem Cell therapy, after seeing us on the news. 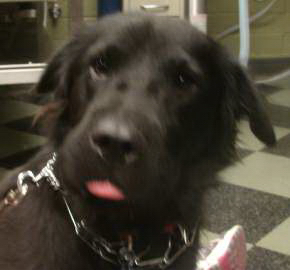 Thunder was diagnosed with severe dysplasia in both hips, with subsequent osteoarthritis. He would struggle to get up and down, with a marked decrease in his activity. Within weeks of the procedure the owners noted he was getting up and down faster, and was much more active and alert -- he had even jumped into the truck, which he had not done in years. It has been over a year since his procedure and he is still doing great. His owners feel he would not be getting around anymore if it wasn?t for Stem Cell therapy! "Molly" is a 3 yr old mix breed who came to us with hip dysplasia so severe that hip replacement surgery was recommended for both hips. After discussing Stem Cell treatment with the owner, we brought in an orthopedic surgeon to perform the hip replacement in the right hip, and Stem Cell therapy was performed on the left side. Molly's left hip was injected with Stem Cells, and additional Stem Cells were injected intravenously, as well. (Un)fortunately, Molly was feeling so good after treatment, she attempted to jump her gate and broke her right femur. The orthopedic surgeon returned and repaired her broken leg. 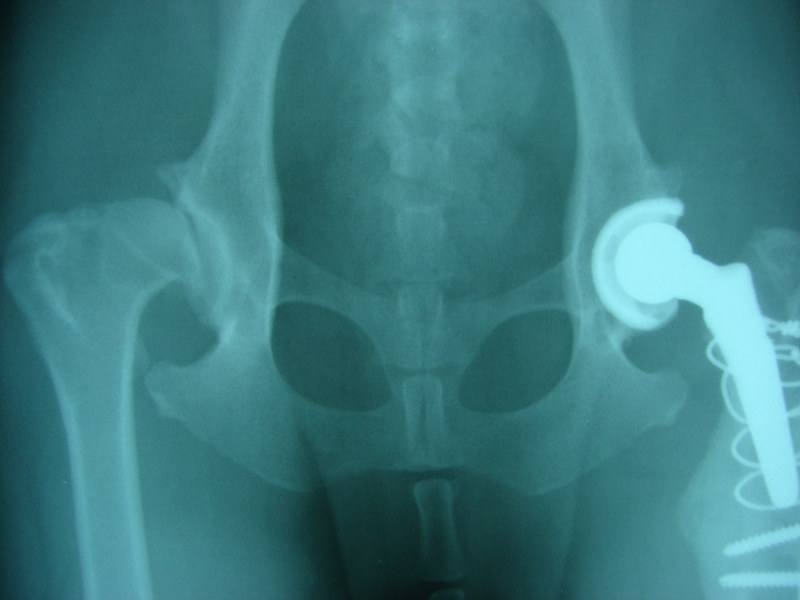 After 3 months she returned for radiographs, to assess the healing of the fractured leg (which had healed very well, by the way), but we were struck by the amazing effects the Stem Cell treatment had had on left hip! The arthritis had actually REVERSED itself to a certain extent. 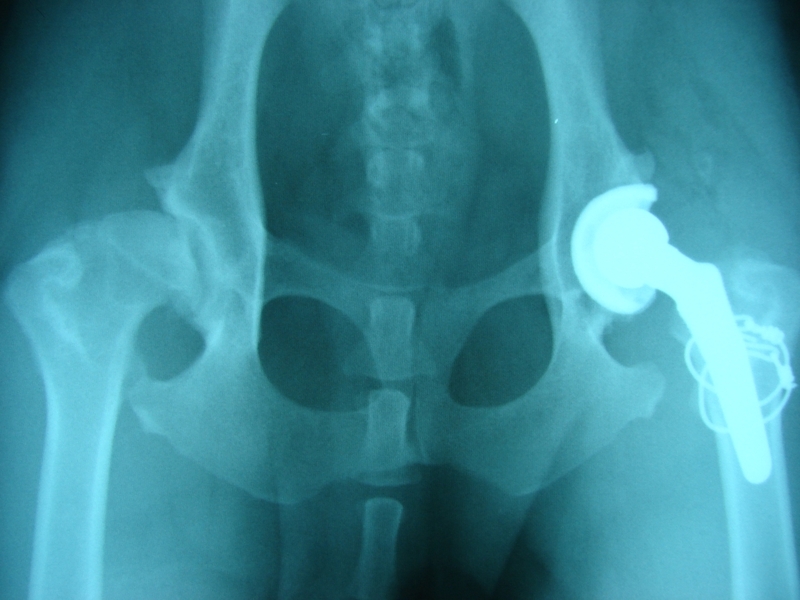 While we knew Stem Cell therapy could improve a patient's comfort with arthritis, the visible improvement to the hip joint on X-rays was an unexpected and exciting development. There are so many more great success stories please contact us for more information 480-990-9561.